Foundation “Między Słowami”, which I am a founder wants to start producing feature film called “Wyklęty” directed by Konrad Łęcki. In the film, besides me, will starr inter alia Janusz Chabior, Olgierd Łukaszewicz, Jerzy Zelnik, Piotr Cyrwus and Jan Stawarz. The film tells the story of the real events. 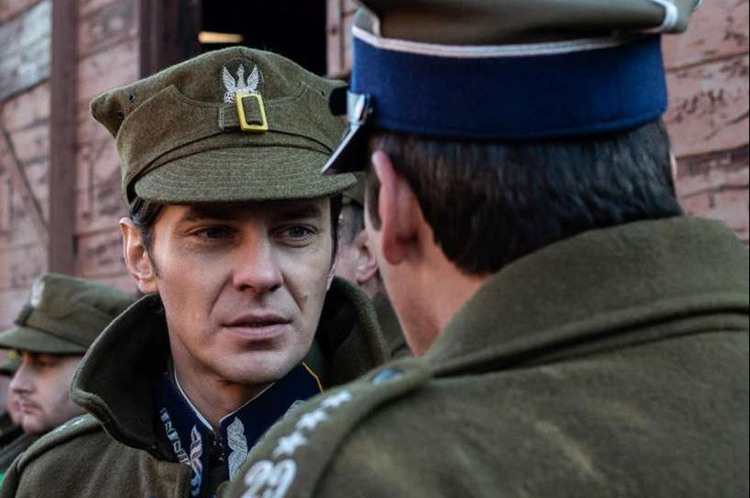 Its heros are the soldiers of the anti-independence underground, struggling with communist authorities to shape the post-war Polish. Today, commonly referred to them as soldiers accursed. These people, despite the overwhelming superiority of the Ministry of Security, supported by the Sovied NKWD, fought to the end for free and independent Poland. Most of them died and memory of them was falsified by mendacious historians. By this film we want to show the drama of their situation, their heroism and give a honor their memory. The premiere of this film is planned for the 1st of March 2015, in the day which is a celebration of Soldier Accursed. This production is an extremely costly venture and I don’t hide that we have not yet fully closed the set budget so I will be very grateful if you will support this production with every penny. All the donors will be listed in the credits of the film. More information You can find on the Foundation “Między Słowami”.